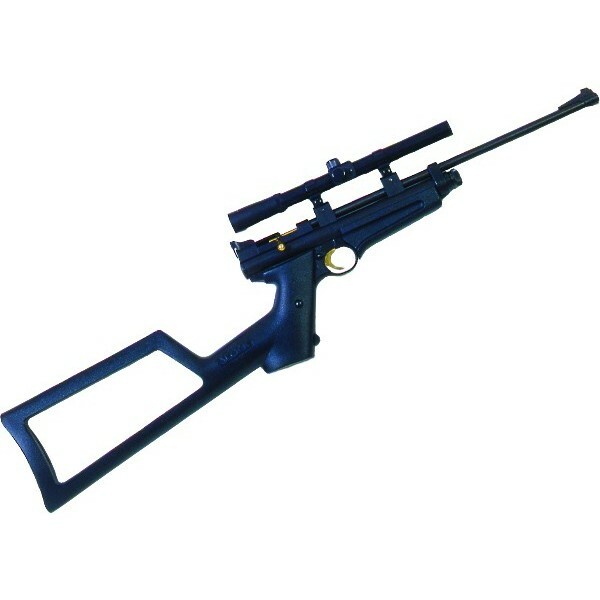 .22 CO2 single shot bolt action carbine. ABS stock and forend. Rifled barrel. Easy CO2 cartridge loading system. Fibre optic front sight. Adjustable rear sight single stage trigger with manual safety. 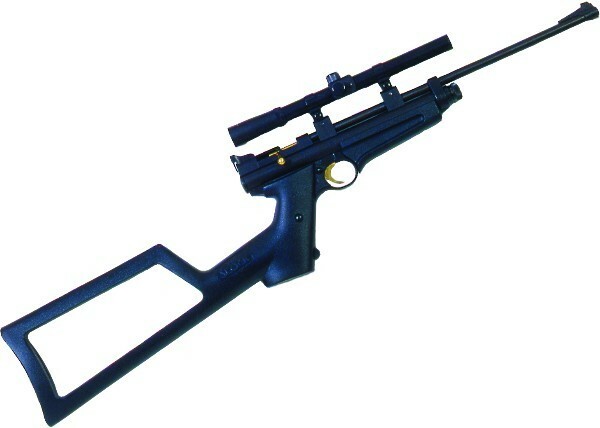 Comes complete with 4x20 scope.